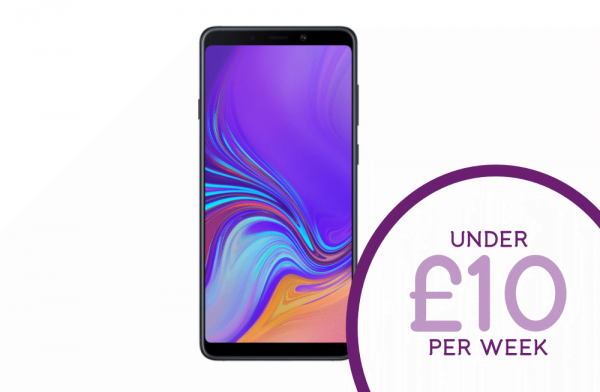 Upgrade to a phone that looks stunning from every angle with this black Samsung Galaxy A9. It runs Android’s 8.0 Oreo operating system, giving you access to tons of apps for both work and play. When you want to chill out, your films will look sensational on the 6.3 inch AMOLED Infinity Display. Plus, you’ll take photos like a pro, as not only does it have a 24MP camera for crystal-clear detail, but it has 3 other rear lenses to capture ultra-wide shots with exceptional levels of depth. You’ll find a 24MP camera at the front too, letting you take fabulous selfies. And, it’s even Qi compatible, letting you quickly top up your battery with wireless charging.